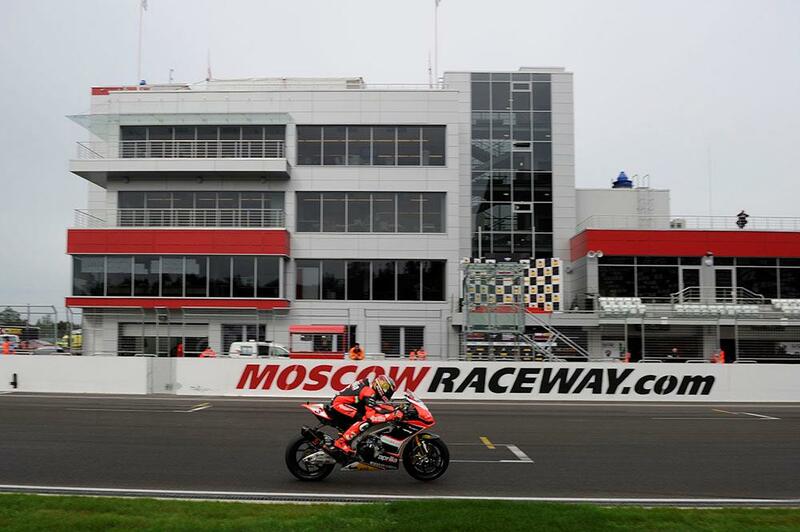 As has been long expected by the cynics (read, realists) in the WSB paddock, the proposed 14-round 2015 FIM Superbike World Championship will not feature an event in Moscow Raceway after all. The planned Russian race was cancelled last year after the dual realities of a lack of funding and the political situation between Russia and the Ukraine hit home, and again this year financial issues have been quoted as the reason not to go ahead at Moscow Raceway on 5th July. The official press release states… “Dorna WSBK Organization and the FIM, Fédération Internationale de Motocyclisme, regret to inform of the cancellation of the Russian Round scheduled to be held at Moscow Raceway on July 5th 2015. There will be no ‘super-sub’ to keep the calendar at 14-rounds and the loss of the Moscow race also means that the local WSS squad that had proven podium finisher Vladimir Leonov, and one other unnamed rider, down to compete in 2015 will not now take part in the championship.